Issei Sagawa murdered a friend and ate her remains, yet he's free to walk the streets — and his desires haven't changed. Noboru Hashimoto/Getty ImagesIssei Sagawa in his Tokyo home. When Issei Sagawa murdered, dismembered, and devoured Renee Hartevelt in 1981, he was fulfilling a dream 32 years in the making. He was always short and skinny with legs that “looked like pencils.” He blames the media’s representation of Western women like Grace Kelly for sparking his cannibalistic fantasies, equating it with what most people would call sexual desire. Where other people dreamed of bedding these beautiful women, Sagawa dreamed of eating them. In 1981, after repressing his desires for 32 years, they finally got the best of him. 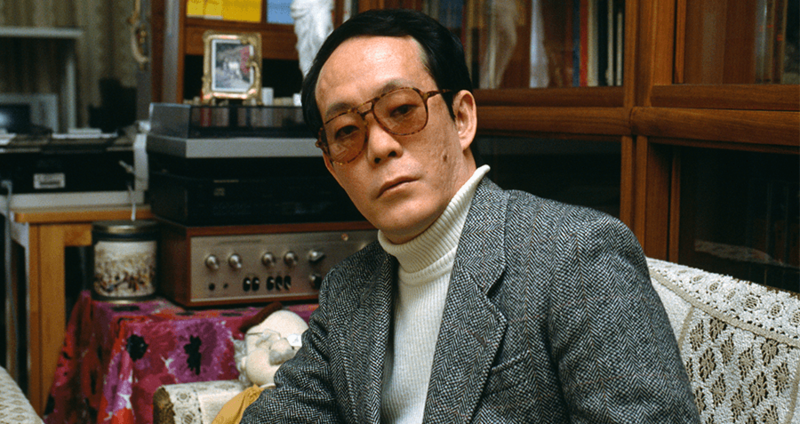 Issei Sagawa had moved to Paris to study literature at the Sorbonne, a public research university. Once there, he said, his cannibalistic urges took over. Eventually, he found the perfect victim. Renee Hartevelt was a Dutch student studying with Sagawa at the Sorbonne. Over time, Sagawa struck up a friendship with her, occasionally inviting her to his home for dinner. At some point, he gained her trust. He attempted to kill her once, unsuccessfully, before actually murdering her. The first time the gun misfired when her back was turned. Though most would take this as a sign to give up, it only pushed Sagawa further down his rabbit hole. 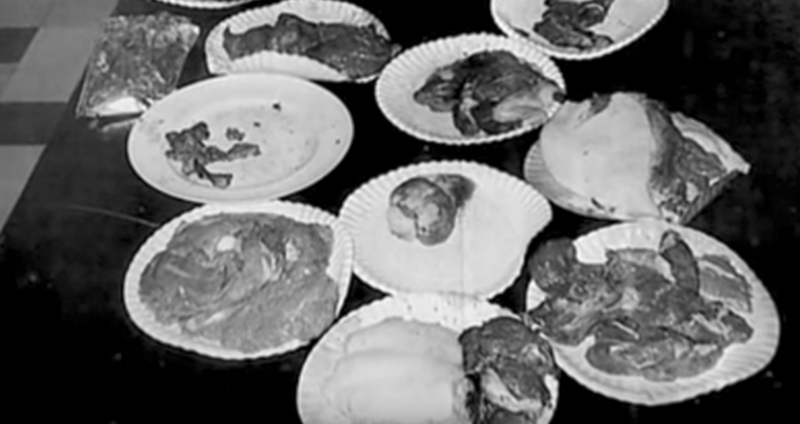 YouTubeCrime scene photos of Issei Sagawa’s meal. “[It] made me even more hysterical and I knew that I simply had to kill her,” he said. The very next night he did. This time the gun fired and Hartevelt was killed instantly. Sagawa only faced an instant of remorse before it turned to elation. Immediately after killing her, he raped her corpse and began cutting her open. Ultimately, he said his only regret was that he hadn’t eaten her while she was alive. French Select/Getty ImagesIssei Sagawa being led out of his apartment following his arrest. Issei Sagawa says the reasons behind his cannibalistic tendencies can’t be explained or conceptualized. Two days after killing Hartevelt, Sagawa disposed of what remained of her body. He had eaten or frozen most of her pelvic region, so he put her legs, torso, and head into two suitcases and hailed a cab. The taxi dropped him off at the Bois de Boulogne park, which had a secluded lake inside it. He had planned to drop the suitcases in it unnoticed, though several people noticed the suitcases dripping blood, and notified the French police. 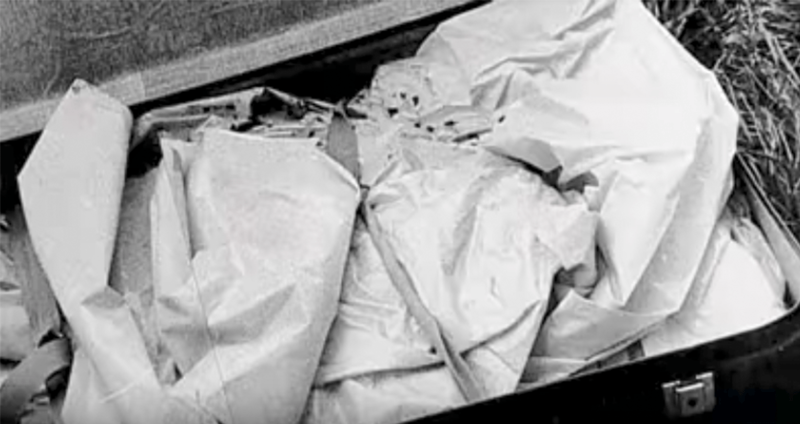 YouTubeThe suitcase which was filled with Renee Hartevelt’s remains. When police found him and questioned him, his response was a simple admission. “I killed her to eat her flesh,” he said. 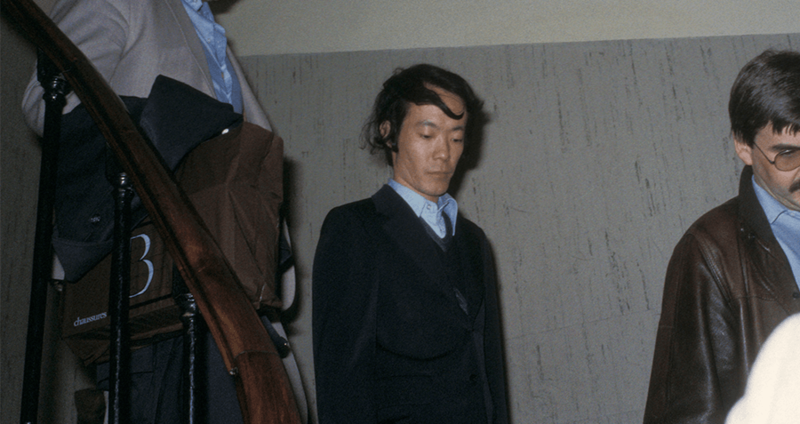 Issei Sagawa awaited his trial for two years in a French prison. When it was finally time for him to be tried, French judge Jean-Louis Bruguiere declared him legally insane and unfit to stand trial, dropping the charges and ordering him to be held indefinitely in a mental institution. They then deported him back to Japan, where he would spend the rest of his days in a Japanese mental hospital. Because the charges in France had been dropped, the court documents were sealed — they couldn’t be released to Japanese authorities. Therefore, the Japanese had no case against Issei Sagawa and no choice but to let him walk free. In 1986, he checked himself out of the mental institution and has been free ever since. Today, Issei Sagawa walks the streets of Tokyo where he lives, free to do as he pleases. A terrifying thought when one hears that the threat of life in prison hasn’t done much to quell his urges. In the meantime, however, Sagawa has refrained from cannibalism. Instead, he’s devoted his time to writing books, most recently publishing his 20th work, titled “Extremely Intimate Fantasies of Beautiful Girls.” The book is filled with pictures drawn by himself as well as famous artists. “I hope that people who read it will at least stop thinking of me as a monster,” he said. For more cannibalism, check out the story of Jeffrey Dahmer, America’s favorite cannibal, or Sawney Bean, a fabled cannibal from Scotland.